Currently, the price of $XRP is down -10% for this period. So, what’s going on? We’ll review below. For this price analysis, we’re going to look at the USD side of things on the trade. In the picture above, we can see what appears to be a ‘traded range’ that has developed on the H2 chart resolution for XRP. 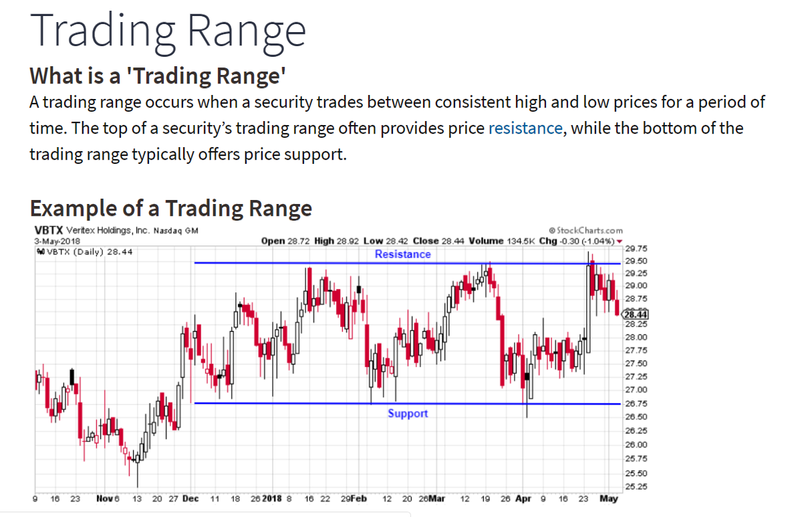 In short, a traded range is a resistance and support point that the price trades back and forth between until it either breaks above or below the traded range. Thus, according to modern trading theory, we should be expecting the price of Ripple to make a quick stop at approximately 44 cents (not an exact, just an estimate). However, the momentum for the price of $XRP makes it appear as though the price may decline even further than that. In the picture above, we can see that the RSI(14) has corrected itself sharply from the overbought region that it was in previously. However, this does not mean that there is any guarantee there will be a consolidation period lingering in the woods for $XRP at any point in the near future. In fact, on the contrary, the RSI(14) appears to indicate that there could be a much more precipitous decline on the way as the acceleration of its decline shows heavy downward price movement, and price action is something that tends to stop gradually. If the candles are elongated and the momentum appears to be in ‘full swing’, then that is a terrible point to assume an immediate pivot unless there is some sort of astronomical news event that would cause such a thing (i.e., USA announces they are replacing the Swift network with Ripple’s token instead). The picture above is self-explanatory due to the caption. Now, let’s recap on that support point. However, as stated above, we’re expecting an eventual break below this point. So, let’s see what the next likely support points will be. The golden line in the picture above is the EMA-50 (Exponential Moving Average), which is lingering right at the support line that we originally drew for $XRP based on the prior price movement. This should signal to us that this support point is likely a major one, thus representing a point of support that could slow the price down once it hits. There may even be a tiny bounce from that point. However, traders should beware because such a point could be a mere alleviation of the price action downward by bears before they consolidate profits and place larger short bets on the currency once again. Below the point of 43–45 cents, traders should anticipate the 35–37 cent range as the next likely point of support for the price. Ripple’s overall trajectory looks bearish, that’s the only way to describe it. Thus, we’re going to go ahead and look at solutions that allow us to short the price of Ripple. Below is the R/R that we anticipate for Ripple. Trade completion is at 36 cents. Disclaimer: Nothing in this article is financial advice and the author is not invested in either Ripple or any cryptocurrency/Ripple competitor.